NYU School of Medicine Clinical and Translational Science Institute. Introduction to Clinical Research: A Web-based Self-study Program. They provide an introduction to the design and performance of clinical research projects. With the use of text, video and animation alternated with multiple choice and free text questions, they provide you with an easy-to-follow, on-your-own time way to understand the basic principles of clinical research. To access this course you’ll need to create an account. 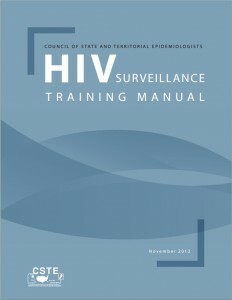 Council of State and Territorial Epidemiologists (CSTE) HIV Surveillance training manual. By design, this manual presents the basics of HIV surveillance activities. In addition, it is designed to provide a broad overview of HIV surveillance activities and practices. Because local surveillance programs might have developed policies and procedures specific to their own programs, some of the material in this manual might not apply to individual HIV surveillance systems. Center for Clinical and Translational Science Training (CCTST). CTSpedia is knowledge base for clinical and translational research statistical tools and graphics biostatistical assistance. It was created as a national effort to collect wisdom, tools, educational materials and other useful items for clinical and translational researchers; and to provide timely and useful advice to clinical and translational researchers with specific problems.